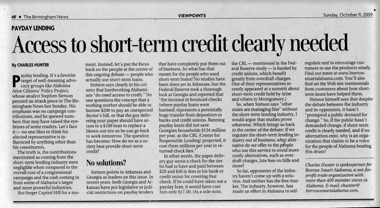 On September 24, 2009 Alabama Arise, the Center for Responsible Lending, the Consumer Federation of America, Appleseed, AARP, Hank Klein and a whole host of others held a "short term credit" summit in Montgomery (click on image to read more or click here for the meeting agenda). It turns out that the primary goal of this meeting was the repeal of the states deferred presentment statute. It was a well organized event with legislators and adversary activist from around the country. In fact, it is incredible that all of these national and local, well-funded actors appeared in one single place at one time to fight for our demise! 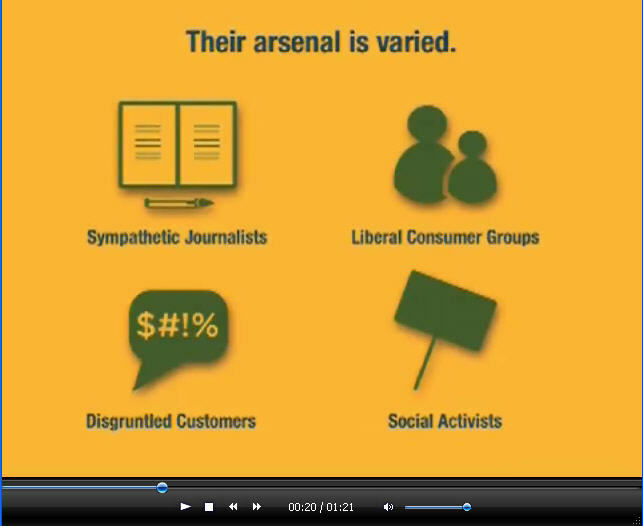 These are very powerful groups with their own self-serving motives who use us and, more important, our customers for their own personal gains. Since the event less than ten days ago the press has been filled with articles. Listed below is what we have seen to date along with our replies to these one-sided attack articles. As you know, the play book for our adversaries is to begin their assault on a state with a barrage of one-sided media attacks against us. If these primarily fabricated stories are allowed to go unchallenged, we lose as we have seen in state after state around the country. 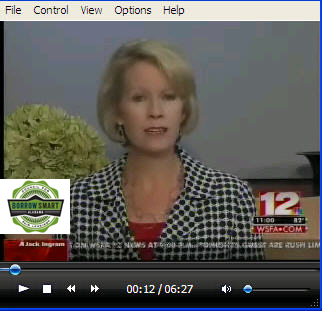 WSFA-TV - September 24, 2009. An interview with Oliver Robinson , our Borrow Smart financial education trainer, regarding Borrow Smart financial literacy. Notice that this training was held on the actual day of the Arise conference (click on image to view) and received quite positive media coverage to counter their self-serving attack! Tuscaloosa News - September 27, 2009. An Arise article regarding payday lending. This same article appeared in the Anniston Star. We have responded to both articles. Here is our reply as it appeared in the Anniston Star. Tuscaloosa News - October 2, 2009. This is our reply to the article immediately above as it appeared in the Tuscaloosa News on the 27th. Montgomery Advertiser - October 1, 2009. An article from a reader attacking payday lending. We have responded and will link to it here when it is published. Montgomery Advertiser - October 2, 2009. 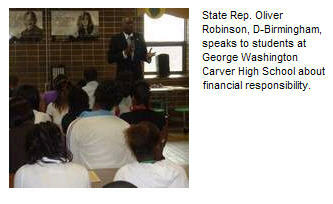 The Advertiser covered Borrow Smart educational training at Carver High in Montgomery five days after the Arise summit. Click on the image to read the story. Birmingham News, October 4 2009. The Birmingham News picked up the same Arise article from above as it was published in Anniston and Tuscaloosa. We have responded, as we have with the other attacks. Check back for a link after the News has published our reply. October 12 Update -- The Birmingham News provided us with equal coverage in our response to the Arise/CRL attack (top of fold) on an equal day (Sunday). We were treated fairly and the response was well done. Click on the image to read the full article. November 2 Update -- This is NOT going away! The attorneys (Appleseed), Arise and all of their cohorts (CRL, the Consumer Federation of America, AARP, etc.) who organized the original attack are clearly planning to strengthen their attack against us. Their hoped for goal is the same outcome they have seen in over 15 other states (the end of our industry). Click here to see more from Appleseed. We know their play book well. Click on the image on the right to see exactly how it all unfolds and where it will lead if we do nothing! This is not a battle in the statehouse (yet), but a battle in the minds of the public and an attempt to influence the public against our customers (who use and appreciate our service) and against our industry. From the public house, we clearly expect it will move to the statehouse. Of course, if the public battle is successful, it clearly will impact the action in the statehouse, you know. October 12 Update -- While the Arise/CRL attack was well orchestrated and is precisely what you would expect from our self-serving adversaries, our response has been swift and effective. Our reply and/or positive coverage for our customers and for our industry has appeared in every single paper that printed the original Arise/CRL attack article, thanks to our immediate response directly with the press. We know that many important people read our response to the one-sided attack and understand it for what it is. While Arise/CRL chose to attack us and our customers directly, we have chosen to develop programs to protect our customers in the Borrow Smart member organization. It is too bad Arise/CRL offers no alternatives for our customers other than an outright ban on a service that is used wisely by customers thousands of times a day throughout the state. And, used with virtually no complaints as reported by the Alabama State Banking department who regulates our industry. Members can go to www.CouncilForFairLending.com and click on the CFL News tab. There you will find our assessment, comments, up-to-the-minute news and much more about what this unprecedented, all out assault from both local and national groups means for our industry and for you as a company.